Sylvester Stallone has no problem teasing things that may or may not be in upcoming movies, but he’s very serious when it comes to things that he definitely knows won’t be in upcoming movies—especially if he’s one of those things. According to Deadline, Stallone has flat-out denied any possibility that he’s going to appear in Tiger Shroff’s Indian remake of First Blood, saying that “any involvement” in the film is not happening “under any circumstances.” Stallone goes on to say that he has nothing against the project, but he wants it to be clear that he doesn’t have anything to do with it. 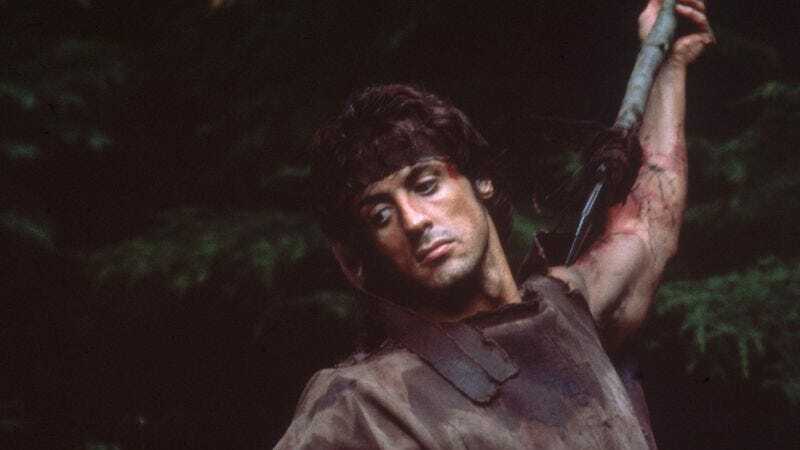 Back in October, director Ariel Vromen was tapped to direct an english-language reboot of the Rambo series, also without Stallone’s involvement, but it’s unclear if that project is still happening.